To ensure against the entry of sea water, rain or spray, all weather deck and hull openings (hatches, doors and ramps etc.) should be tightly secured and always maintained in good order. Battening down hatch covers with manual cleats can be a long job in a large ship with a small crew. Often done at night, in inclement weather, and in circumstances in which the crew may not be as attentive to their duties as they should be, cleats can be left undone, eccentric wheels not turned up, multiple panels incorrectly aligned and cross joint wedges not hammered up. 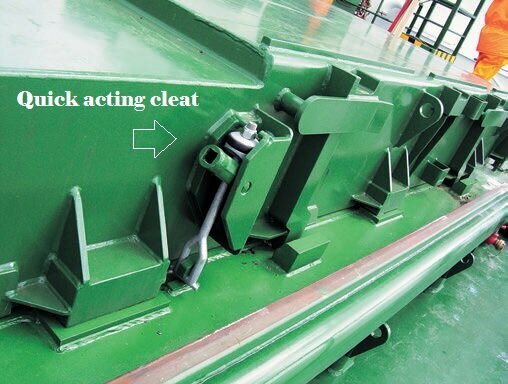 Permanent local damage to gaskets with consequent leakage may also occur during battening down as a result of obstructions such as lashing wires or cargo residues left on hatch coamings or between panels. When water penetrates a hatch seal, it is collected in a drainage channel and discharged clear of the hatchway. Water may spill over onto the cargo in the hold below if these channels are allowed to become blocked or restricted. As per IMO /MSC/Circ.1071 Ship owners and operators are recommended to maintain a record of maintenance, and component replacement, to facilitate statutory surveys by the Administration. All major repairs should be undertaken only after consultation with the hatch cover manufacturer and with the approval of the Administration. Hatch cover maintenance plans should form part of a ships safety management system as referred to in the ISM Code. Although the PMS has an ongoing system both for renewals and maintenance regime, it is recommended that vessels maintain a simple checklist as per makers instructions is advisable to be maintained on board and the checklist should cover the below items. Check forrust streaks on the inside of the coaming which would indicate a leaking hatch cover, then take any necessery remedial action. Clean off the old rust streaks and stains. 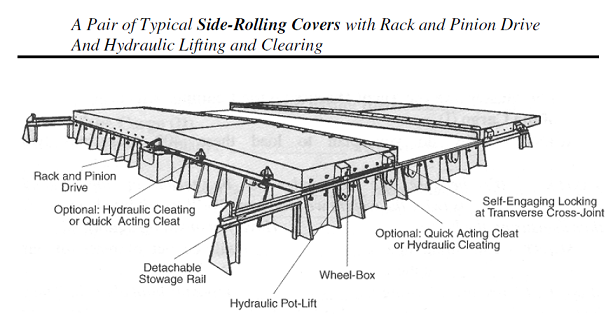 Once the permanent indentation reaches 70% of the designed compression the hatch cover is likely to leak. Do not grease the rubber packing or seals unless proceeding into cold wetaher when glycerine based grease can be used.